A collection of essays by prominent LDS scholars—including Richard Bushman and David Holland—Approaching Antiquity discusses the interest in the ancient world shared by Joseph Smith and the early Latter-day Saints. Topics include Joseph Smith's fascination with the ancient Americas, his interaction with the Bible, his study of Hebrew and Greek, his reading of Jewish and Christian apocryphal writings, and his work with the Book of Abraham in the context of 19th-century Egyptology. 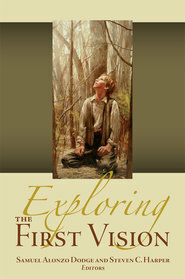 Together, these essays demonstrate that Joseph Smith's interests in antiquity played an important role in his prophetic development as he sought to recover ancient scripture, restore the ancient Church, and bring the Latter-day Saints into fellowship with the sacred past. Matthew J. Grey received a BA from BYU, an MA from Andrews University, an MS from Oxford, and a PhD in archaeology and the history of ancient Judaism from the University of North Carolina at Chapel Hill. Dr. Grey has worked with archaeological excavations in Jordan and Israel and is currently an area supervisor on the Huqoq Excavation Project in Galilee.